On January 07, 2019, the White Lion Team moved into the new Competence Center. We will be pleased to welcome our customers and business partners in a pleasant, modern atmosphere. Get to know us and our dry ice blasting systems, we are looking forward to your visit! On the 5th of December the time had come. Shortly before St Nicholas’ Day a really great gift came for White Lion. 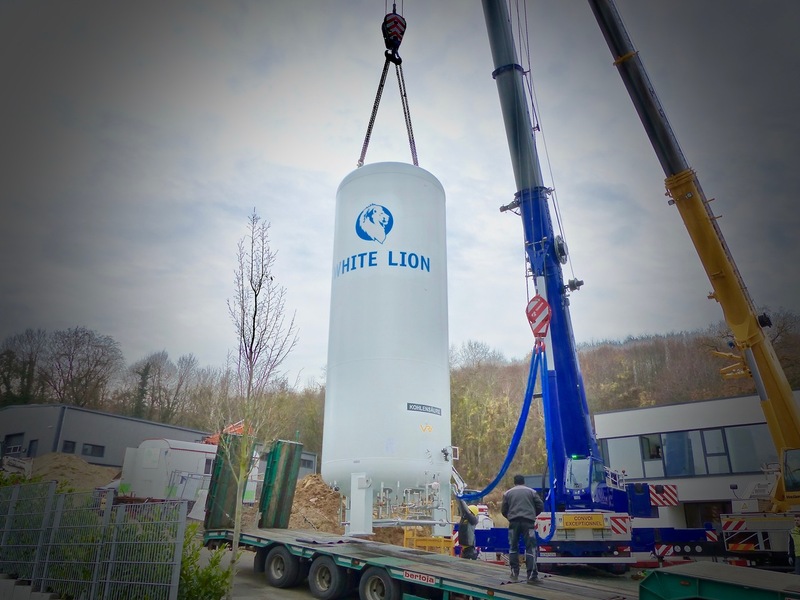 Two crane trucks were used to lift a 30 tonne CO2 tank for White Lion dry ice production over the new headquarters. It can be safely refueled from the street around the clock via a filling line, making complicated access to the property unnecessary. Once again, the White Lion team has achieved a milestone – it is planned to move in during the first two weeks of the new year. 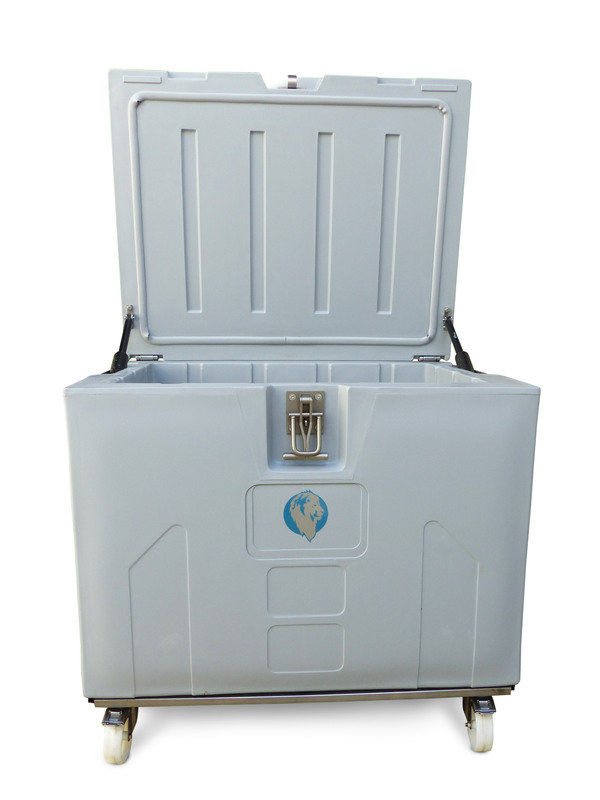 Our White Lion Black Box offers an optimal solution for the transport of dry ice and for safe storage of temperature-sensitive goods if you want to transport your dry ice well cooled. The storage life of dry ice depends on several factors. 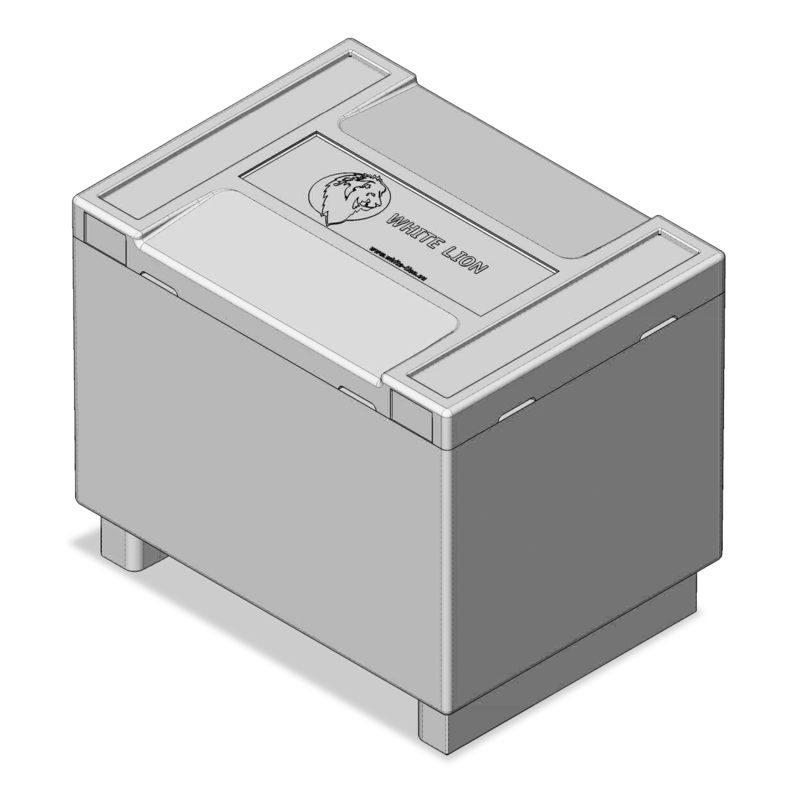 With our dry ice container you can maximally minimize the loss of dry ice by sublimation. The Styrobox is made of expanded polypropylene and is characterized by a high insulation value, so you can keep dry ice in any form fresh, whether as pellets, nuggets or block. The quality of the dry ice has a significant effect on the cleaning result, fresh means at the same time a better and faster cleaning. This dry ice transport box is suitable for hand pallet truck and stacker and with a capacity of 125 liters it is the ideal basic equipment to bring your dry ice comfortable to its destination. Further information about our XXL thermo container can be found here. 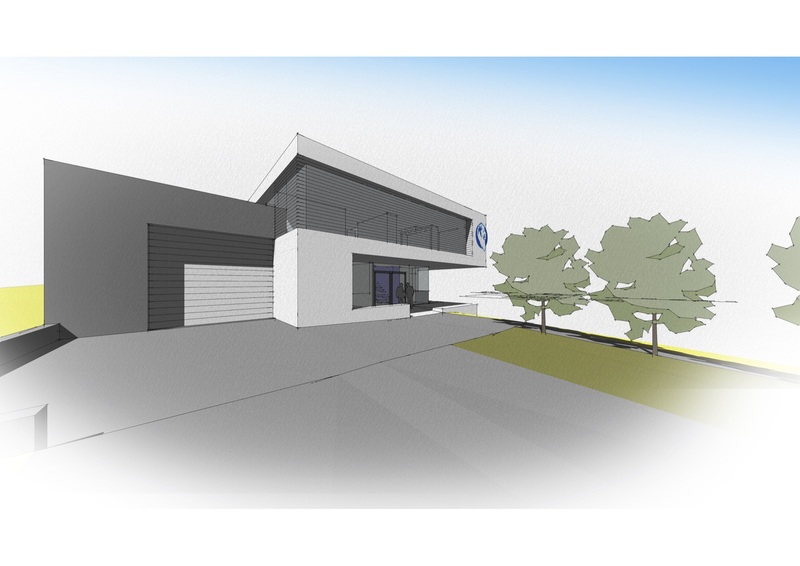 2017 White Lion builds a competence center with a total area of 600 square meters. A show room will soon be available, where we can show you the power of our dry ice blasting machines live. In the new modern office space, we can advise you in a comfortable atmosphere and find the best solution for your task together. The completion is scheduled for autumn 2018. Follow our blog – White Lion keeps you up to date. 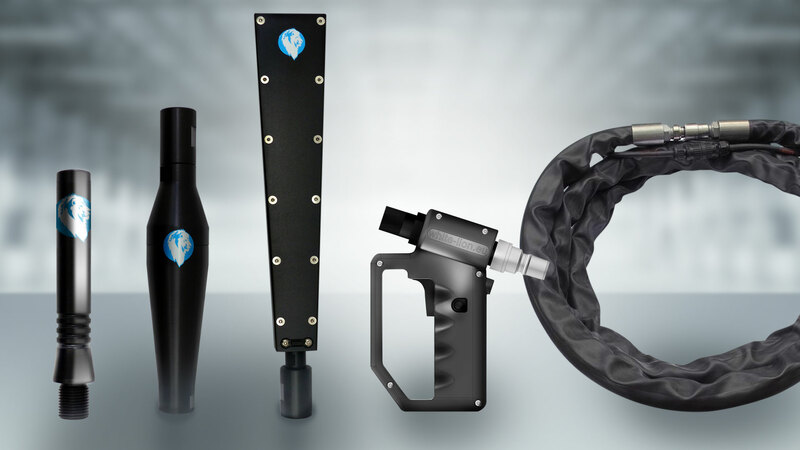 White Lion is a developer and manufacturer of high-quality German dry ice blasting and dry ice cleaning systems. Our industrial know-how entails over fifteen years of competence and expertise. We are a dynamic and progressive enterprise, committed to offering our customers the very best service available. 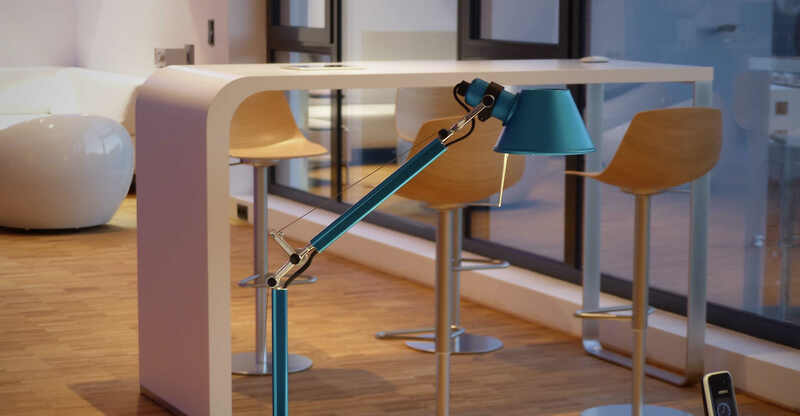 Both our client-oriented methods and innovative cleaning processes help us achieve this all-important goal. Working closely together with our business partners, we at White Lion can assess the results of a dry ice cleaning procedure and find optimal, tailor-made solutions. Custom-built dry ice units and new product developments are a specialism of our experienced team. In terms of the future, White Lion welcomes the opportunity of cooperating with your establishment. Indeed, we look forward to a long and successful partnership with you.